Cyclopia pubescens Eckl. & Zeyh. EOO 67 km², 80% of this species' habitat has been transformed by urban expansion, agriculture and alien plant invasions. 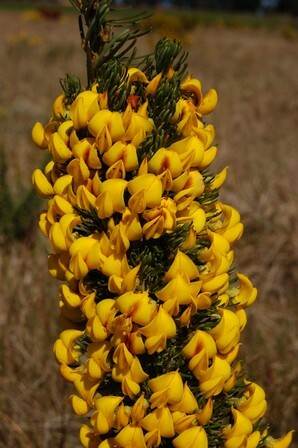 Monitoring by volunteers of the Custodians of Rare and Endangered Wildflowers (CREW) Programme of 11 small, severely fragmented remaining subpopulations recorded threats of ongoing habitat loss to urban development, and degradation of habitat due to alien plant infestations. A few subpopulations are also declining due to damage by vlei rats and mowing by landowners. Lowland fynbos in marshy drainage lines, 300 m.
At least 80% of this species' habitat is already transformed as a result of urban expansion, agriculture and alien plant invasion. Further urban expansion threatens at least two remaining subpopulations, and alien invasive plants are present at three. 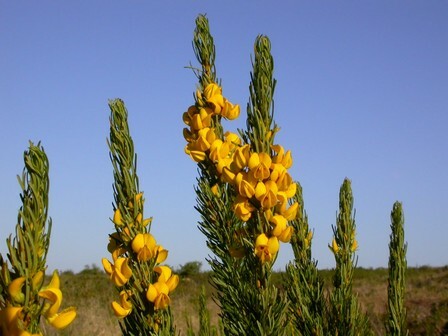 Plants are also damaged by Vlei Rats, which is causing a decline in small subpopulations. Mowing has also damaged one subpopulation.